I just love the Cabo de Gata natural park. It’s climate totally suits me, and I find the semi-arid, volcanic landscape really appealing – oh and the sea; it so clear here too! 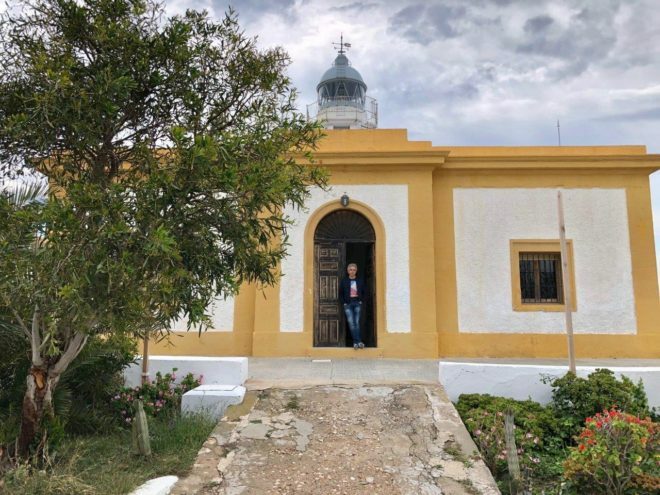 This week we’ve been staying at the Real La Joya boutique hotel, near Agua Amarga (more to follow on that shortly), and one of the trips we were recommended to take was to visit the lighthouse and tower at Mesa Roldán. 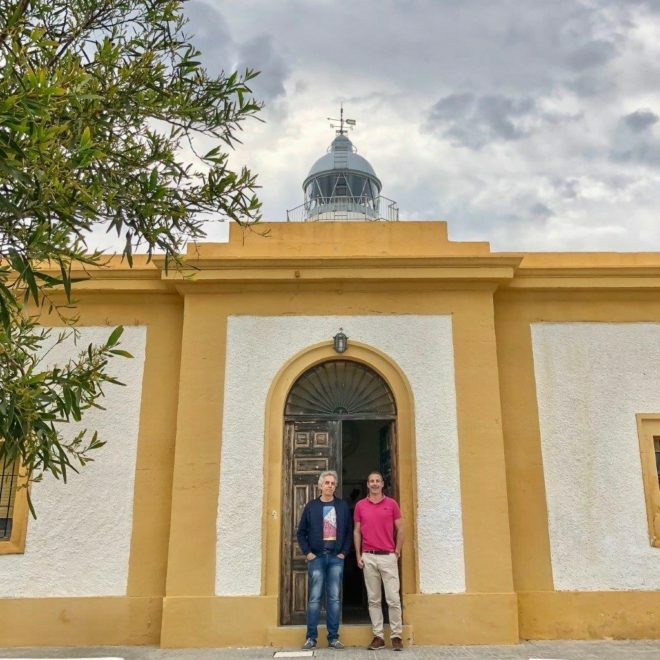 Yet we were able to go one better – thanks to Isabel Cazorla, the GM at Real La Joya, were met the lighthouse keeper Mario and get a pesonalised tour! 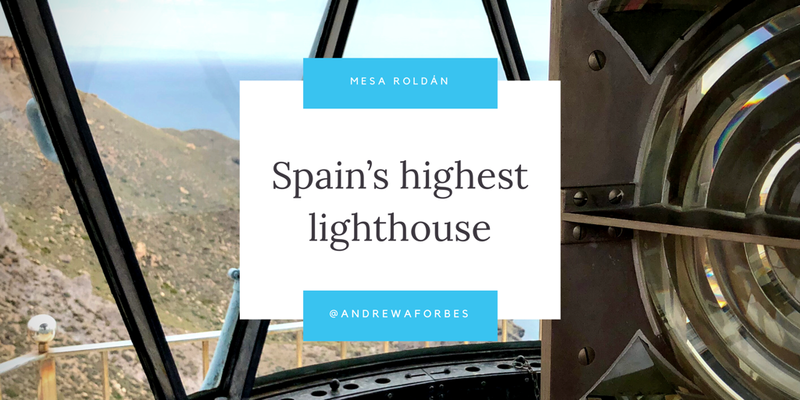 You can visit this 19th century lighthouse (said to be the highest on mainland Spain – not the tallest) by prior arrangment. The lighthouse sits upon a huge flattened outcrop of volcanic rock near an ancient tower, which was used as a location in the US TV series, Game of Thrones. 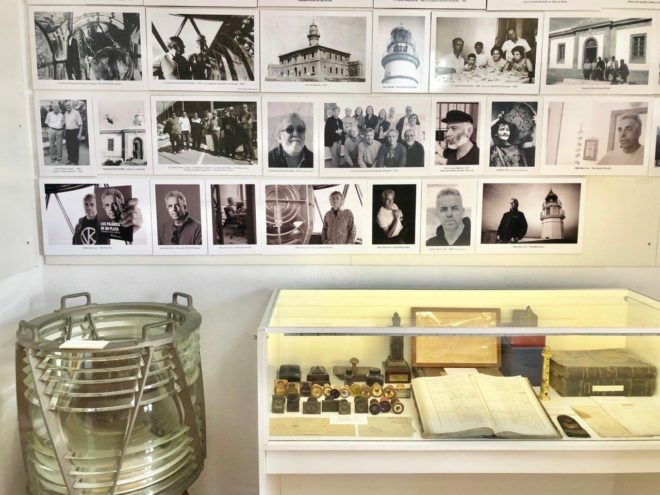 Mario, who lived in the keepers’ house next door with his family, maintains a small museum – and he’s an avid collector of all things related to lighthouses; it’s crazy and fascinating. You can see for example the collection of bulbs used in the past in the light. One can climb the tower. 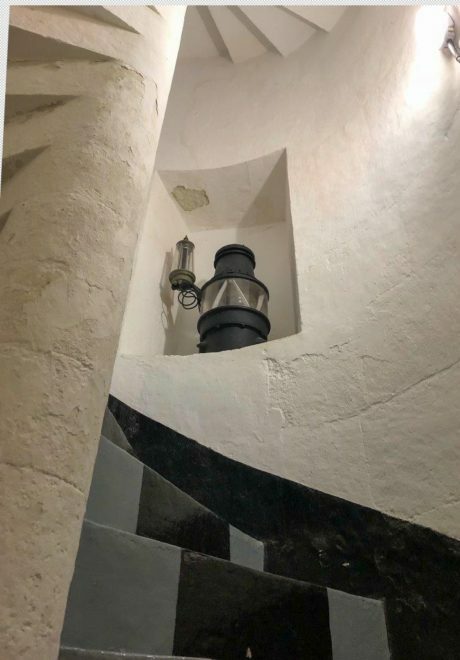 First a spiral stone staircase, and then a 19th century iron staircase ladder. 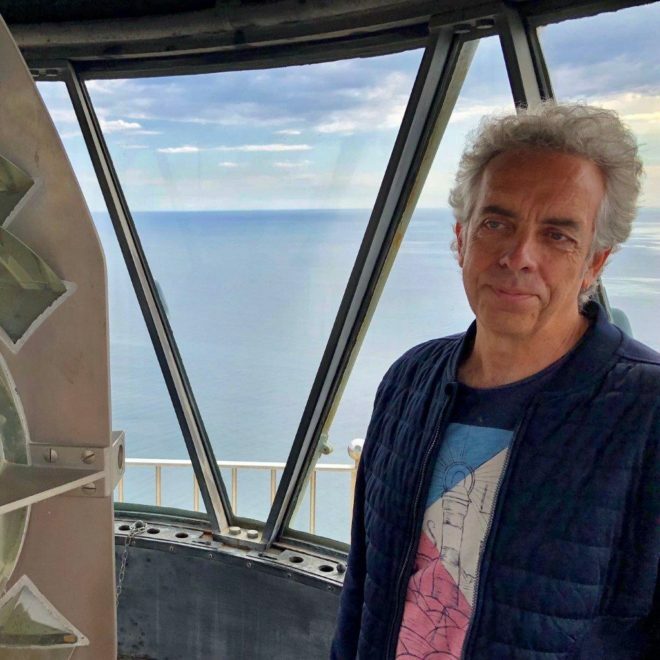 Then you reach the lantern room – it’s such a great view and a unique feeling! 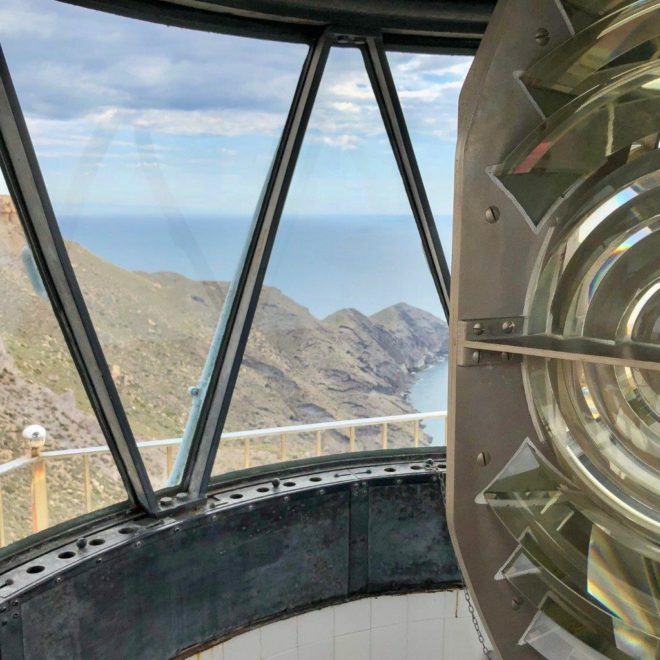 These days the optics technology has developed significantly, yet one things remains the same – EVERY lighthouse has its own Light Characteristic – the way the light flashes. This is unique, like a signature for the lighthouse, so those at sea can not only navigate the coast, but they knwo which lighthouse they are passing. Even with all the modern technology available to sailors, one still has to be able to navigate by the stars and lighthouses.